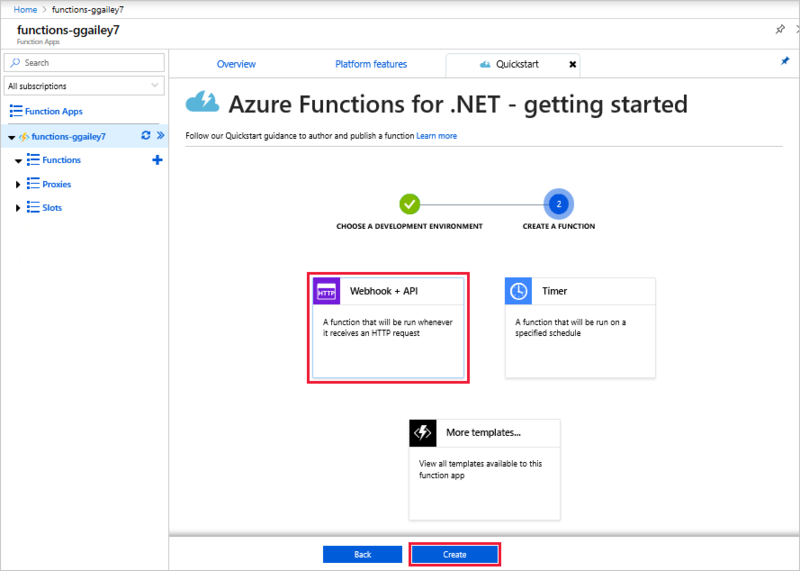 Azure Functions lets you execute your code in a serverless environment without having to first create a VM or publish a web application. 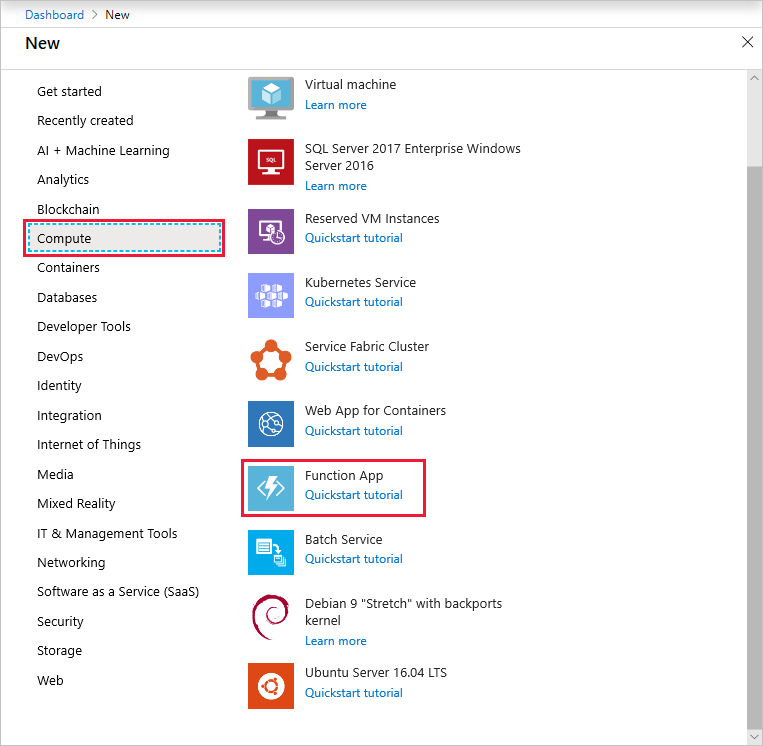 In this topic, learn how to use Functions to create a "hello world" function in the Azure portal. 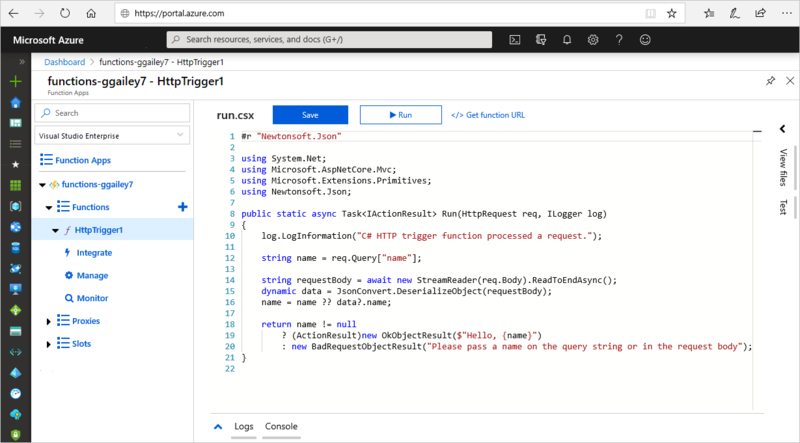 C# developers should consider creating your first function in Visual Studio 2017 instead of in the portal. 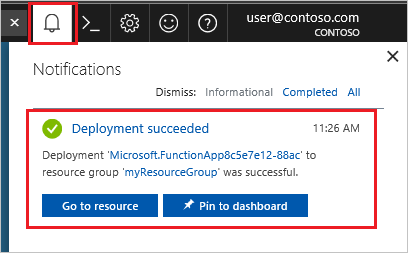 Expand your new function app, then select the + button next to Functions, choose In-portal, and select Continue. Choose WebHook + API and then select Create. In your new function, click </> Get function URL at the top right, select default (Function key), and then click Copy. Paste the function URL into your browser's address bar. Add the query string value &name=<yourname> to the end of this URL and press the Enter key on your keyboard to execute the request. You should see the response returned by the function displayed in the browser. The request URL includes a key that is required, by default, to access your function over HTTP. You have created a function app with a simple HTTP triggered function. Now that you have a created your first function, let's add an output binding to the function that writes a message to a Storage queue. 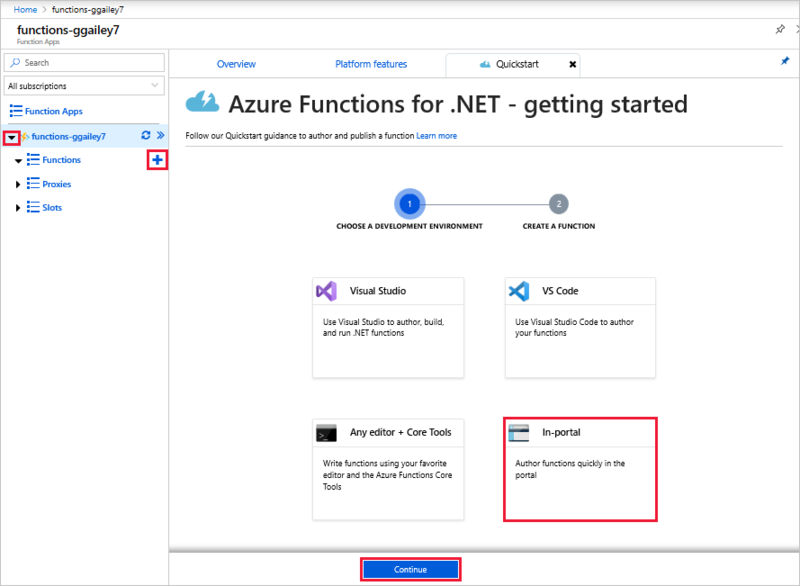 For more information, see Azure Functions HTTP bindings.